It is a common car gadget that is familiar to all but used by only a few. A car alarm is highly effective in preventing car thefts. If you have installed this alarm, a siren will blow out loudly every time a thief tries to open or break into your vehicle, when you are inside your home or at work. This loud sound will scare away the burglar. Other than hand breaks, there are several types of steering wheel locks that are used to lock the steering of the car. Once you have locked the steering wheel in place, there are no chances the car wheel will turn towards any side. This affordable lock is usually made of hard metal which is quite difficult to cut or break. As the name suggests, this lock is meant for locking the car breaks. It is quite similar to steering wheel lock bar and fulfills the purpose of preventing any vehicular movement. Due to its metal composition, it is impossible to break or pin the brake lock. These are some of the common gadgets that prevent the risk of falling victim to car thefts. 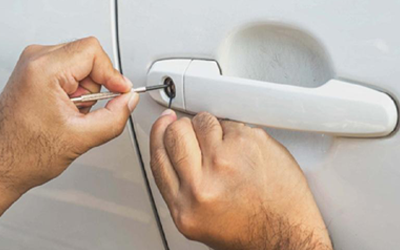 If you are planning to install a car alarm or a break lock, feel free to contact our automotive locksmiths at Fort Saskatchewan 24/7 Locksmith.